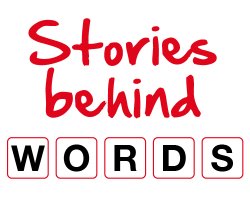 It’s been 3 months since we launched our new series Stories behind Words. In this series we’ve been asking authors, trainers and linguists to share a personal anecdote about a word (or phrase) that means something to them – a word that has changed or shaped their life in some way. We’ve seen many original, moving and thought-provoking stories about words, such as dapper, wayzgoose, Persian and stroke, and even made-up words, like Andrew Delahunty’s mashup blagrant. After several insightful submissions, the contributions naturally moved from single words to phrases: my feet are killing me, as rare as hen’s teeth and the cool eye of the tiger revealed some fascinating personal stories about these phrases. Most of us can identify words or phrases that we feel strongly about or have a personal (emotional?) connection with. So, what is yours? Do you have your own equivalent of perspective, dandelion and oblong? Tell us about your favourite word (or phrase) and your story could feature on Macmillan Dictionary Blog this summer! Your contribution should be between 200-300 words long, and in addition to your story, we’d also like a couple of sentences about yourself introducing who you are and what keeps you busy. To enter your story, and for more information, please get in touch.